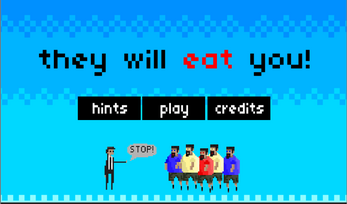 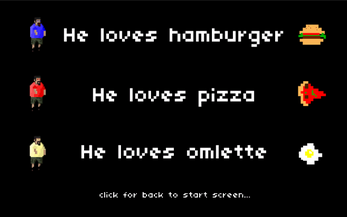 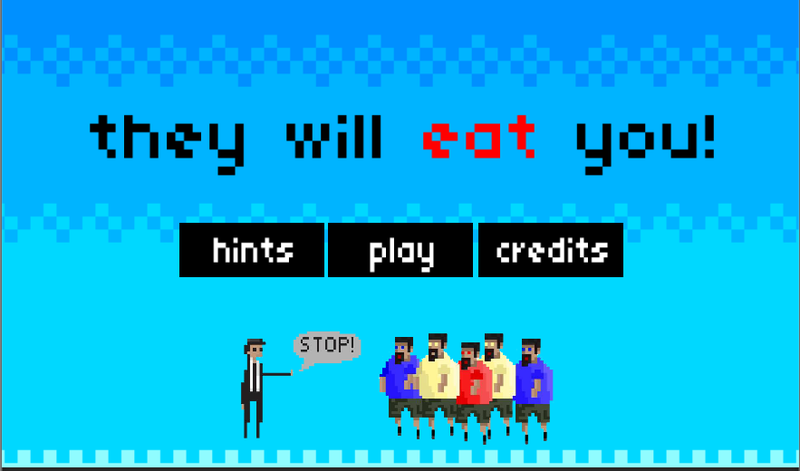 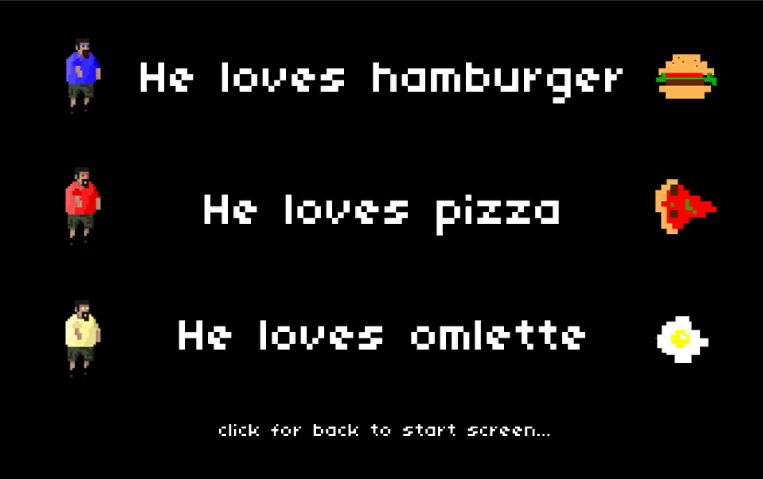 They Will Eat You is a simple survival game. 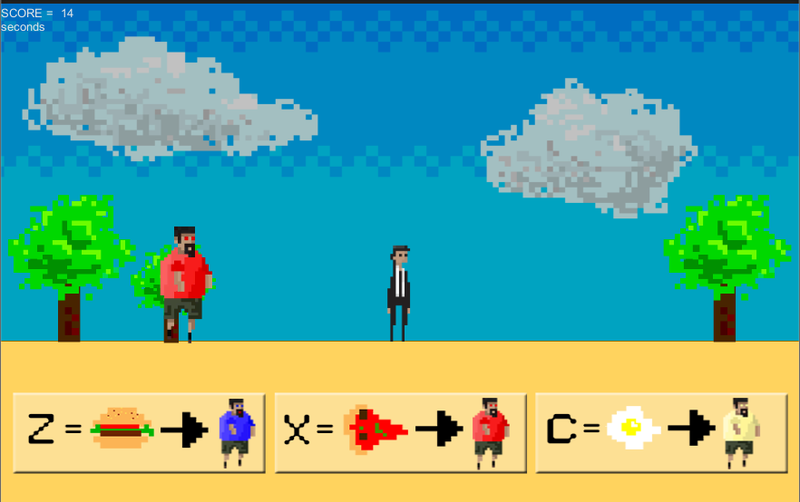 But there is a mechanic like Guitar Hero in this game. 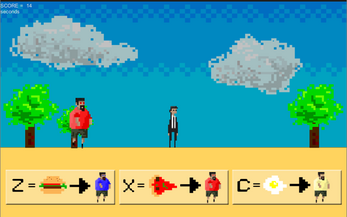 "You must decide quickly and press the true button!"